The machete is a classic weapon of horror, for both the good guys and the bad guys. 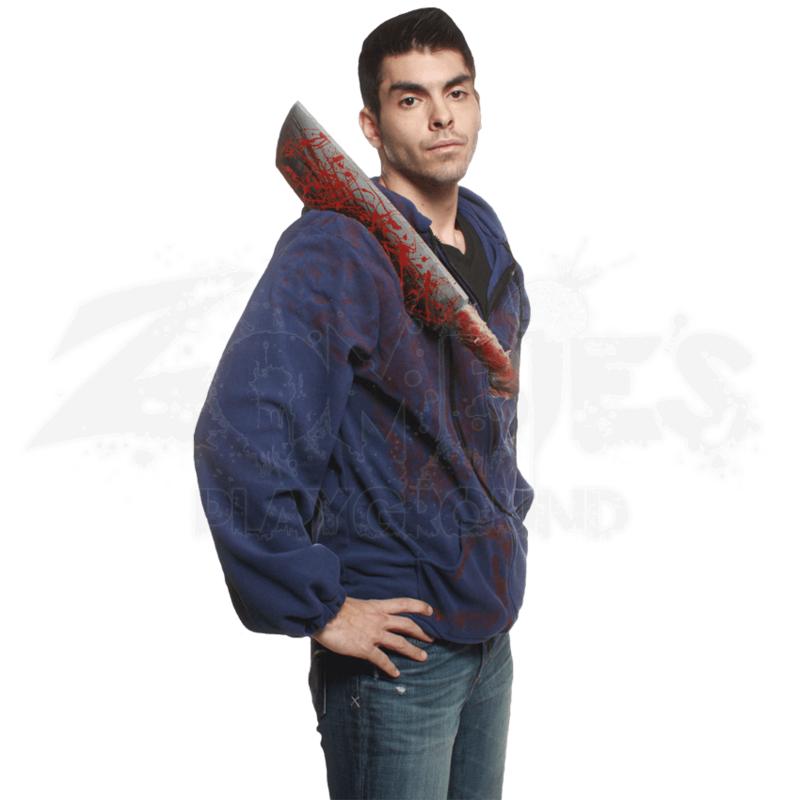 And in the Bloody Machete Hoodie, you will look like you ran afoul of one of the latter and wound up acting as a living sheath for that bad guys blade of choice. The hoodie itself is a simple garment that features long sleeves and a hood to help keep you warm on those chilly Halloween nights. The hoodie zips up for comfort and features bloody stains spattered all across the chest, no doubt created when a blade met flesh. Attached to one shoulder of the hoodie is a broad-bladed machete that looks as though it has been chopped down into the shoulder and then left there. Both the blade and the bandage-wrapped handle of the machete are stained with blood. The hoodie is available in three sizes, although thanks to their zip-up design, these hoodies will fit just about anyone. 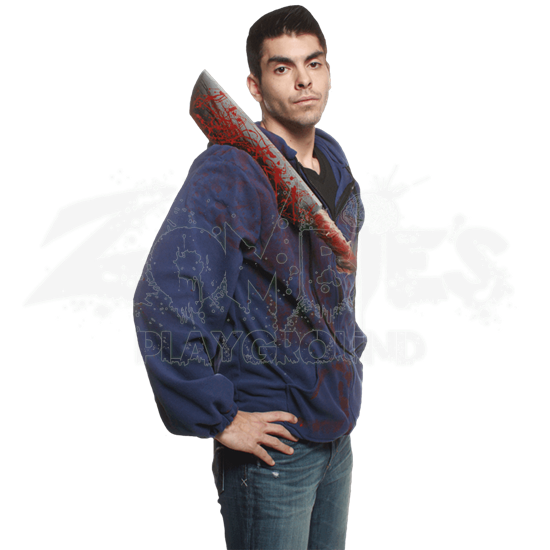 Add this hoodie to any costume you already own to add a layer of warmth and style to your existing look, or just wear the Bloody Machete Hoodie out and about on Halloween as your own warm and functional murder victim costume.